Much like the faces and derrières of any Kardashian sister, the insurance coverage Airbnb provided to hosts was something strikingly different when the company first started out. Before 2015, Airbnb followed the Uber model when it came to sharing risk. Uber grew by placing risk on its drivers, asking them to push damage claims through their personal insurance companies. Uber knew full-well that most of its drivers’ private insurance policies did not cover commercial activity. In the same vein, Airbnb started out by providing hosts with “free $1 million liability coverage,” but with a not so obvious catch – the company only provided hosts with “secondary coverage.” As a secondary coverage provider, Airbnb wanted hosts to forward any claims for guests’ injuries and deaths through the hosts’ own insurance companies first. The problem with that coverage model was that a majority of homeowner’s insurance policies included a “Business Pursuits Exclusion.” In California, hosting one’s property on Airbnb generally constitutes a business pursuit. While there is not a great deal of case law involving Airbnb on this specific issue, a few cases discussed later may provide some insight. This insurance is described as “coverage of up to $1million, per incident for Airbnb hosts in the U.S…if a guest is accidentally injured anywhere in a host’s building or property during a stay.” It may also cover other costly situations in which a guest accidentally causes damage to surrounding property, such as a water leak in a host’s apartment causing damage to a neighboring apartment. For those who own property abroad and host it to strangers when unoccupied, the HPI program currently extends to hosts in Australia, Canada, China, France, Germany, India, Ireland, Italy, Japan, The Netherlands, New Zealand, Portugal, Singapore, Spain, and the United Kingdom. If Airbnb has honorably decided to provide all hosts with primary insurance coverage free of charge, then we should all host our homes without the slightest bit of worry, right? Wrong. Unfortunately, just like any of the Affordable Care Act replacements Congress has considered, the Host Protection Insurance Program still has major flaws. First and foremost, the coverage is limited to an actual stay. Thus, if a guest is injured during an early arrival or overstay, the host will likely not get coverage from Airbnb. Further, if the guest is a no-show and someone else arrives instead, the host will not be afforded coverage. With most hosts being out of secondary coverage via the exclusions in their homeowner’s insurance policies, this means a host will be held personally liable for an injury that may have occurred mere hours after “check out” time. Second, coverage is limited to $1 million per occurrence, $2 million per location, and $10 million annually for all insured locations in the United States. Therefore, when the master policy limit of $10 million is reached, no matter how early or late it may be during the policy year, there is no remaining coverage available for the rest of that year. Third, Airbnb’s coverage must be in excess of any other available coverage, which means the host must submit the claim to his/her homeowner’s insurance and the claim must be denied by that company before Airbnb will pay a dime. (11) Insured vs. insured (i.e., host sues Airbnb or vice versa). While I can’t foretell the impact a Chinese drywall exclusion, I can certainly anticipate that a loss-of-earnings exclusion will reduce settlement amounts. We will now turn the discussion towards the fight involved in classifying Airbnb as a non-business pursuit. Is there any merit to arguing that one’s rarely hosted property means the exclusion shouldn’t apply? What if a guest is injured the very first time a host hosted? Does it matter that the money a host earned from hosting on Airbnb accounts for a fraction of his/her income? Would it matter if the guest is injured on a portion of the host’s property not intended for Airbnb guests? Would certain areas of the property be more foreseeable places for guests to wander off to than others? California law has defined a business pursuit as a “regularly engaged in activity for the purpose of earning a profit” (Smyth v. USAA Property and Casualty Insurance Co. (1984) 152 Cal.App.3d 864, 869.) Despite the “regularly engaged” language included in the definition, California cases have established that an activity need not be full-time, primary, or even a major source of income in order to qualify as a business pursuit. In Fire Insurance Exchange. v. Jiminez (1986) 184 Cal.App.3d 439, defendant and appellant, Manuel Jiminez purchased a dwelling package policy for his property. A dwelling package policy, also referred to as a landlord-package policy, is used to cover homes that are occupied by someone other than the owner, such as a tenant. This type of policy typically includes coverage for the home itself as well as liability coverage. What proved to be problematic for Mr. Jiminez was the fact that his property contained several structures. One structure was leased to his tenant, Santa Barbara Ceramic Designs, while the other was a commercial building he used for his own produce business. When a lean-to porch attached to his commercial building became a nuisance, Jiminez decided to demolish it. Richard Metzger, the plaintiff in the underlying action, had asked for Jiminez’s permission to salvage some of the roofing materials that were in the wreckage. Jiminez agreed. Metzger was injured during his salvaging efforts and subsequently filed a personal-injury claim. The trial court ruled that Jiminez did not have coverage since the motivation for the demolition of the porch structure was the nuisance it posed to the commercial building. The court further reasoned that getting rid of the nuisance to the commercial building would enhance the value of the property, which should be considered a business pursuit. But, what if the area where the injury occurred had a dual purpose? West American Insurance Company v. California Mutual Insurance Company (1987) 195 Cal.App.3d 314, may provide some insight. While this case was a fight between insurance companies on the applicability of an employment exception in one policy and a business pursuit exception in another, it nevertheless serves to establish that a business pursuit exception has been interpreted broadly. How broad? Broad enough that it would trump an employment exception. In West, Mr. Clapham operated his cement and masonry business out of his Simi Valley, California home. Clapham’s home was often used as a meeting point for jobsites and as a location to distribute paychecks. However, Clapham’s home served another purpose — a place for employees to drink and gamble after paychecks were distributed from the home’s den. Despite Clapham’s good intentions, in true Scorsese mob epic style, a violent scuffle broke out at the card table. The lesson Clapham learned the hard way was that nothing was more dangerous than a rec room full of masons in Simi Valley. The trial court found that the “business pursuit” exception did not apply because Clapham’s home had both a business and social purpose and that the activity giving rise to the injury (the drinking and gambling) was not “wholly dependent” on Clapham’s business pursuits. With regard to the trial court’s determination that the activity giving rise to the injury was not wholly dependent on Clapham’s business pursuits, the appellate court disagreed. It found that even if Clapham’s house gatherings were partially motivated by social interests, the result would be the same. According to the appellate court, “Nothing in the insurance policy requires that the business pursuit be wholly business related for the exception to apply” and that any reliance by either of the parties to litigation on “concurrent causation” doctrine was misapplied. Concurrent causation doctrine provides for coverage when an injury is caused by a combination of an insured risk and an excluded risk. (State Farm Mut. Auto. Ins. Co. v. Partridge (1973) 10 Cal.3d 94, 105.) The court reasoned that the situation in Clapham was different since Clapham’s rec room activities had both a social and business nature while the injury resulting from that activity did not have “independent operating causes.” Unfortunately for Clapham, his employees were the sole cause of the injuries. Thus, it is clear that the business-pursuits exception has a history of being applied broadly. Odds are, if there’s a conceivable benefit to an Airbnb host, it will be construed as a business pursuit. In addition, while one should always consider the specific language in a policy, more likely than not, a business pursuit exclusion will apply to an injury that occurs on account of something remotely business related unless there are independent operating causes of the injury. It’s 2017, and scammers’ tastes are more refined than ever...just follow “Joannethescammer” on Instagram and see for yourself. While an Airbnb host may think he/she has the wherewithal to correctly peg a potential guest as a scammer, the reality is that even those with Mensa-level street smarts can be wrong. What most hosts don’t know is that Airbnb has the potential to be a platform for savvy swindlers to live a lavish lifestyle on the hosts’ expense…and without having to front the trial costs. No one could agree with this sentiment more than Airbnb host, Cory Tschogl. The story of Tschogl’s experience hosting on Airbnb grew popular in 2014 when screenshots of the texts she exchanged with her squatter, “Maksym,” went viral. Receiving little help from Airbnb, Tschogl was forced to hire an attorney. Tschogl used Airbnb to rent her 600-square-foot Palm Springs, California condo to a man named “Maksym.” Maksym was to stay at Tschogl’s condo for 44 days (May 25th through July 8th) for what he told Tschogl would be an “extended business trip.” After his 44th day at Tschogl’s condo, Maksym refused to leave and threatened to sue Tschogl. What made this stay problematic for Tschogl, besides Maksym’s squatting, was that for long-term reservations, Airbnb bills on a monthly basis. Because of that, Tschogl only received an advance payment for 30 days. Tschogl eventually had to hire an attorney and spend thousands to evict Maksym. Here’s the play-by play-of how it all went down. After Maksym checked in, he called Tschogl and complained about the tap water and the gated entry to the condo complex. Maksym thereafter asked for a full refund. Wanting to get this guy off her hands, Tschogl agreed to a refund. Unfortunately, getting that money from Airbnb was another story. First, Tschogl had a tough time getting in contact with someone from Airbnb. Eventually, and as recourse, Airbnb sent Maksym an email asking him to leave. Maksym refused. Tschogl figured she would let Maksym stay for the duration of his reservation. However, on June 25th, when it came time to collect payment for the 30th day of his reservation, neither Airbnb nor Tschogl could collect any money from Maksym. On July 8th, the last day of Maksym’s reservation, Tschogl sent the tenant an ultimatum via text message – he could vacate the property or stay without the utilities she had been providing. Maksym sent a text message back threatening to sue Tschogl if she in fact turned the utilities off. According to Maksym, he was well within his rights on account of the fact that he was legally occupying the domicile. While it may come as a shock, Maksym was absolutely right. In California, once someone rents a property to someone for 30 days, that person is considered a tenant on a month-to-month lease. 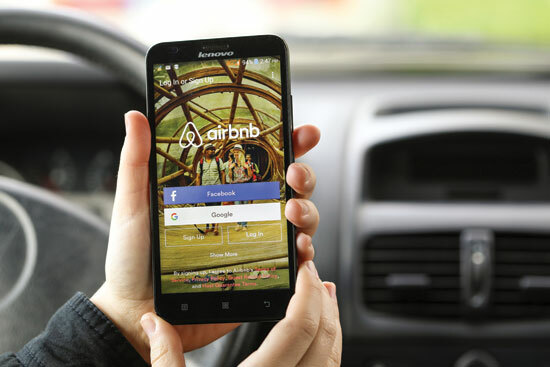 With Airbnb taking a hands-off approach at this point, Tschogl was left to evict the tenant – a process many of you know can take three to six months and can cost thousands of dollars in legal fees. When pressed about their refusal to help hosts get squatters out, Airbnb responded that it was up to the hosts to know the laws of their state. While this situation seems all too preventable in the mind of an attorney (i.e., don’t host someone for longer than 30 days), most Airbnb hosts are unaware of the pitfalls of providing extended stays. According to Tschogl, hosts should know that “collecting guest fees for 30-plus-day stays for only 30 days at a time equals no guarantee to the host of payment in full.” Moreover, Airbnb’s host guarantee does not cover rental and legal expenses incurred when a guest like Maksym refuses to leave. Considering the average listing on Airbnb provides approximately $14,000 a year in gross income for the host before expenses, you may want to ask yourself what many have asked upon graduating from law school, “Was it really worth it?” If it is, do yourself a favor and purchase a business-insurance policy. For those interested in hosting their property or advising those who wish to be hosts, remember this: Don’t host the property to anyone for more than thirty days. 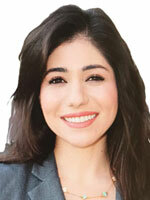 Sophie Etemadi is an associate at Cheong, Denove, Rowell and Bennett. Sophie’s practice focuses on medical malpractice and personal injury. When she isn’t appearing in court she enjoys performing stand-up comedy and doing improv at the Pack Theater in Los Angeles.